Chang'e 4 sent the first panoramic image of its landing site since its historic arrival on the moon. China's lunar probe has sent the first panoramic image of its landing site since its historic arrival on the far side of the moon, showing the cratered landscape it is exploring. The Chang'e-4 mission, named after a moon goddess, made the world's first soft landing on the moon's far side on January 3, a major step in China's ambitions to become a space superpower. A rover dubbed Yutu-2, the name of the moon goddess's pet, the 'Jade Rabbit,' successfully separated from the lander and drove onto the moon's surface Thursday. 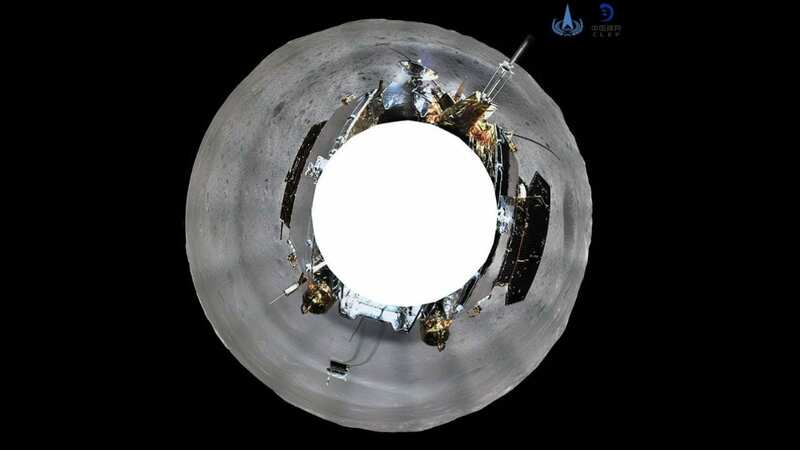 A camera deployed on Chang'e-4 took a photo that was released by the China National Space Administration (CNSA) on Friday. "Researchers have completed the preliminary analysis of the lunar surface topography around the landing site based on the image taken by the landing camera," the CNSA said in a statement. First 360 panoramic images from Chang'e 4! Chang'e-4, the Yutu-2 and the Queqiao relay satellite that beams data back to Earth are "in a stable condition, and all work was carried out as planned," the statement said. The 140-kilogram (308-pound) rover resumed activities on Thursday after being on "stand-by mode" for five days.